A duo of awards topped off a fantastic week for the Cub Cadet team at IOG SALTEX 2018, one given and one received. The annual IOG Awards Event, which saw Devonshire Park Grounds Team proudly collect the ‘INFINICUT Tennis Grounds Team of the Year’, was followed by the announcement the company’s exhibition stand was awarded ‘Best in Category’. During the evening, recognising outstanding achievements throughout the industry, MTD Specialty Turf Products Managing Director John Coleman presented the accolade to Danny Negus and his team. 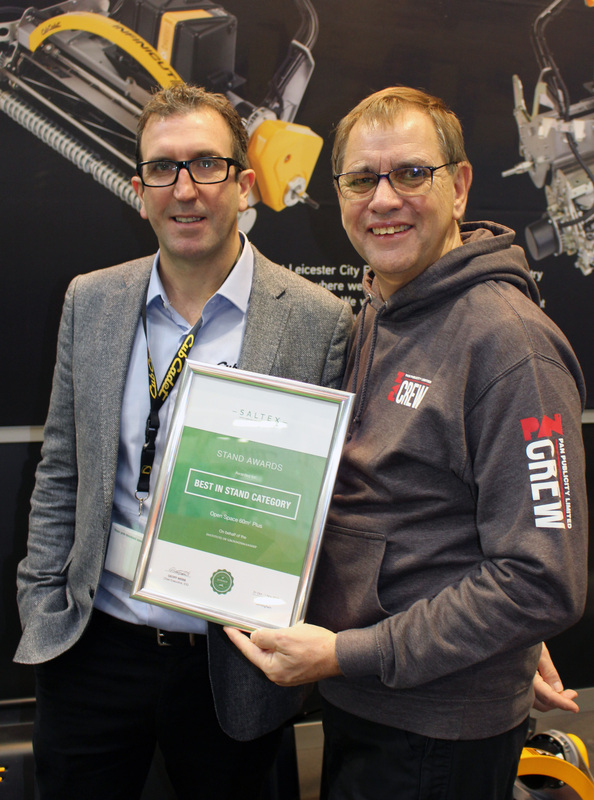 On arrival at the show the following morning, John was delighted to find a certificate of his own, the ‘Best Stand in Category’ for open space 60m2 plus, one of eight designed and built by agency PAN Publicity.